Calling all adventurers and outdoorsy folk. Well, basically anyone who would like to leave the beaten track behind, get away from it all and doesn’t mind sharing their patio with the local squirrel gang. Our Date Destination this month is for you more established couples out there rather than those in the first date stages. So if you and your sweetheart are after an unusual and romantic retreat, look no further. 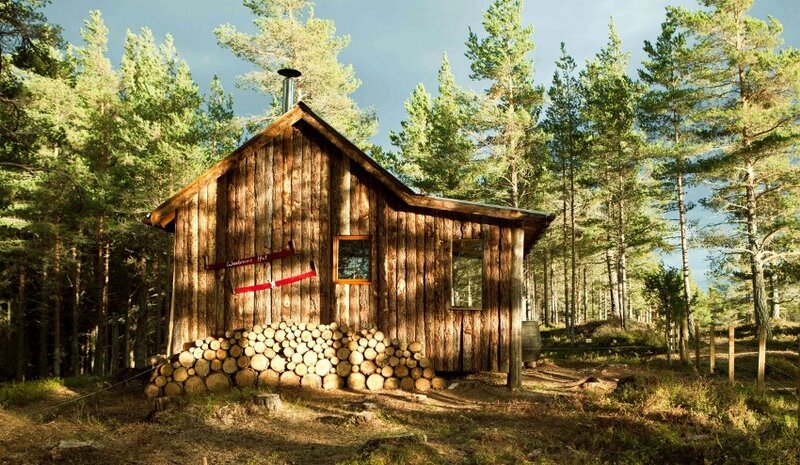 Check out the Woodman’s Hut, a rare and secluded hideaway settled in the heart of the Cairngorms National Park of the Scottish Highlands. Isn’t this cute? Head over to their website for more details about the hut and for info on how to book. Personally we think this has got to be a winner, but what do you think? Is this your definition of a romantic getaway or would you rather eat pine cones?